Another useful B2B tool created by Ecomwise is Matrix Ordering. The extension essentially improves the default product page by adding a matrix order form. As a result, your business customers can easily order configurable products. But how does this happen and when is the module especially helpful? You can find the answer below. For instance, you sell shirts or other clothes. Each clothing item has at least two parameters: size and color. 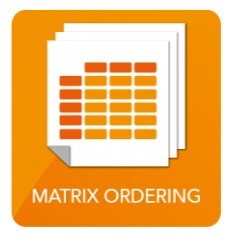 By providing a customer with a matrix order form, you allow ordering different variations of the same configurable product simultaneously. A customer spends much less time on making a purchase and B2B shopping becomes more user-friendly. Consequently, you get more satisfied and loyal customer. Of course, B2B purchases are never made on emotions, so convenient user interface is not as important as business conditions you offer, but it’s always better to provide a client with both good condition and seamless shopping experience. Note that the Ecomwise Matrix Ordering extension supports all attributes, so you can use matrix order forms for literally every product on your online storefront. Necessary attributes can be configured from the backend. Furthermore, you can choose among several variations of a product page. 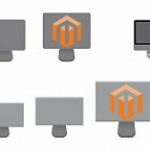 The Ecomwise Matrix Ordering Magento 2 extension allows you to display order one, order multiple, or both tabs simultaneously. At the same time the default Magento 2 screen is possible. Different display options can be used for different customer groups. As for further customizations, the module allows you to set the horizontal amount of entries that will be displayed. And if you need different matrix forms for different attribute sets, it’s not a problem for Ecomwise Matrix Ordering. With the extension, you can create as many matrix as you need. Note that the extension allows you to show up to 3 configurable attributes. Besides, option pricing can be displayed in the matrix. And you can place a stock availability status there. 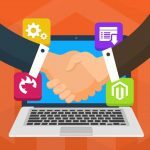 All these options are enough to create an intuitive and user-friendly form that will essentially improve the life of your business partners, at least its part related to the interaction with your Magento 2 website. 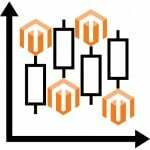 So, if you are looking how to make your Magento 2 B2B website better, pay attention to the Ecomwise Matrix Ordering Magento 2 and 1 extension. Besides, you can check your list of the best B2B tools: Magento 2 B2B extensions, Magento B2B modules. As for Ecomwise Matrix Ordering, it’s first version can be purchased for €299. Since the corresponding Magento 2 module is still under development, we don’t know its final price, but you can already view it’s page.